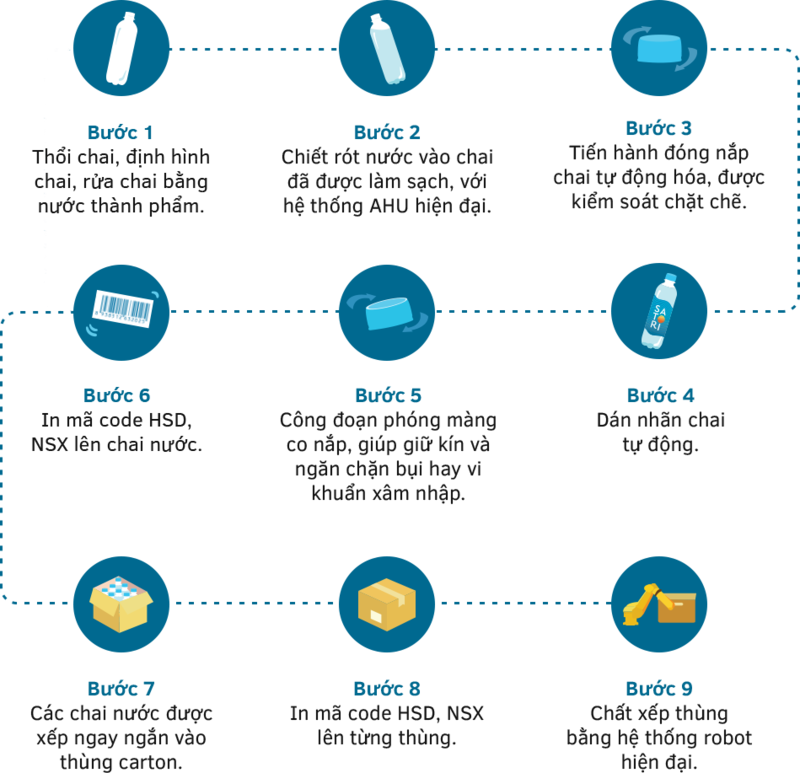 Each bottle of water begins with a carefully selected well or municipal water source. The water is initially processed using a multi-step filtration process depending on the source. Next, the water is purified using a Reverse Osmosis system and then it is disinfected with Ozone just prior to bottling. Our purified with minerals added product has one additional step, just before the water is disinfected with Ozone. It is re-mineralized by sRO technology, which retains a mount of natural minerals to give the product a smooth and refreshing taste. 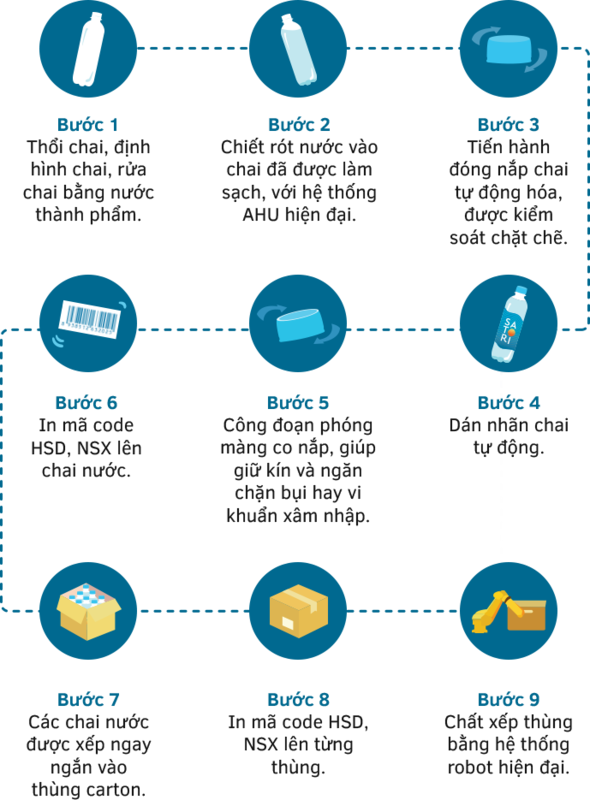 Process the groundwater resource into qualified water that meet drinking water standards of Ministry of Health of Vietnam. Pretreatment to remove the contents like organic compounds, odorant, redundant Chlorine, etc. to make the water clear. 0.01 micron Ultra Filtration filters are used to remove every impurities and kill bacteria. 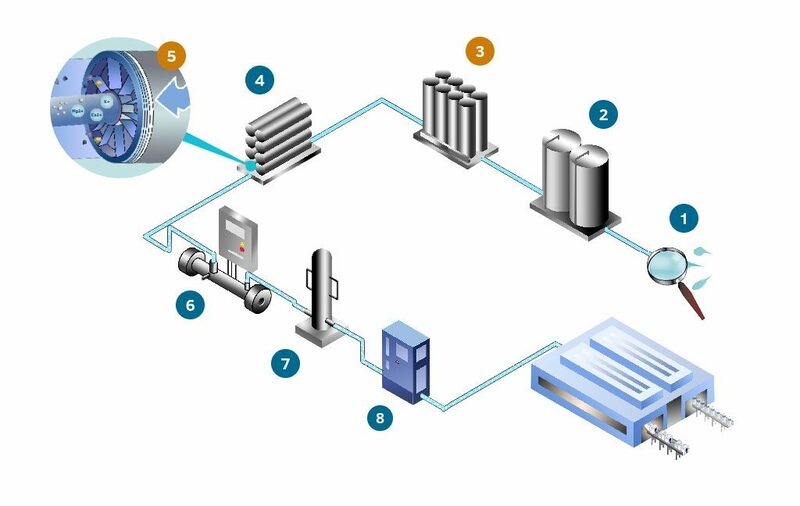 Purified with minerals products will pass through multiple Reverse Osmosis units. These high pressure pumps and semi-permeable membranes are used to remove all remaining impurities. 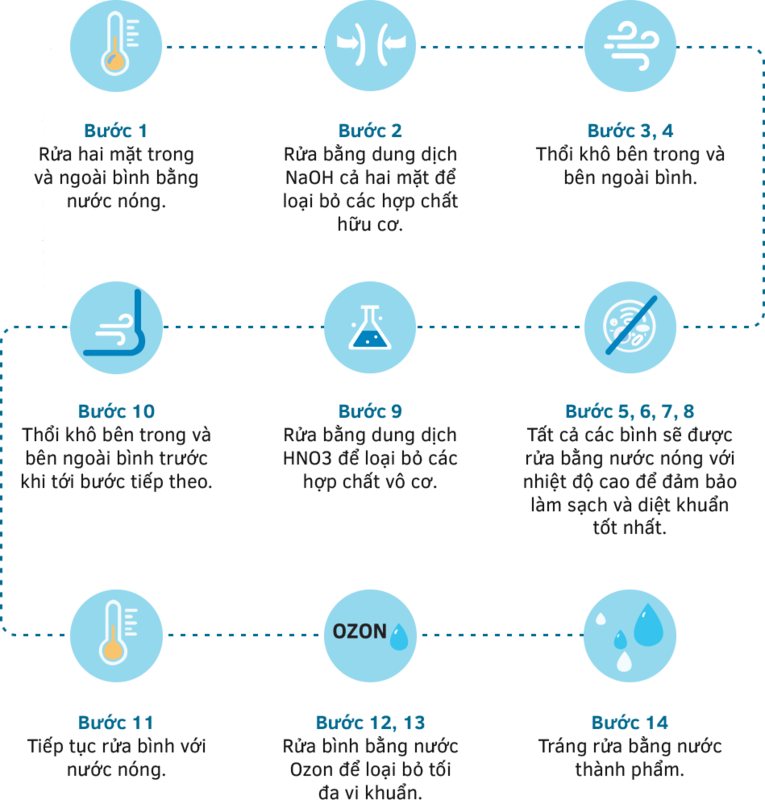 Once the water has been processed by RO, the sRO (selective Reverse Osmosi) technology allows the right amount of minerals retaining into the purified water. The effects of UV (Ultraviolet) light provide added assurance of product disinfection and safety. 0.2 micron pharmaceutical grade filters are used to remove any microbiological contaminants. All waters are sanitized by Ozone. 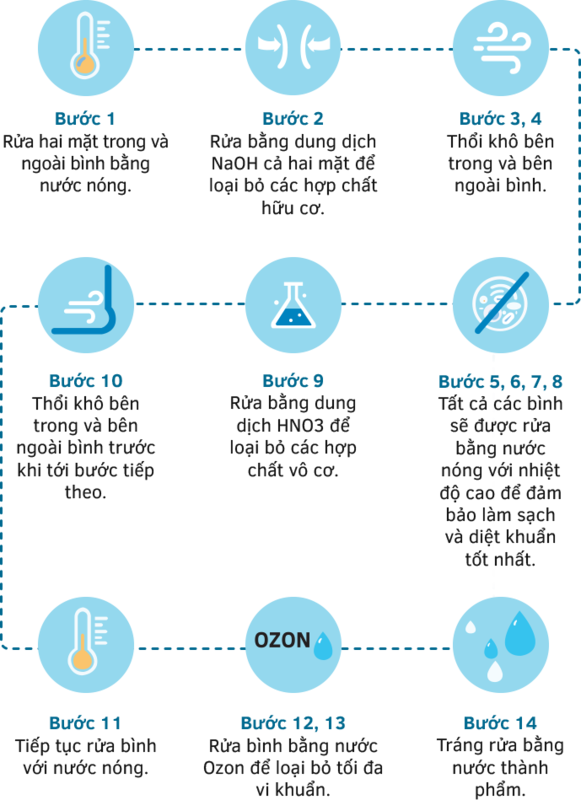 Ozone is a specialized molecule consisting of pure oxygen which is highly effective at sanitizing water.